Our team consists of a German management, a full-time teacher from Great Britain and a part-time teacher from Trinidad and Tobago. Our teachers work according to the immersion principle, which means that everyone speaks to the children in their native language. Our teachers have an University Degree and are extremely experienced. 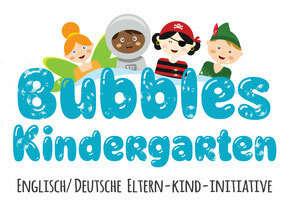 Our German speaking Kindergarten Manager, Pia, has more than ten years of work experience with young children. Before she joined Bubbles she worked in a nursery, a kindergarten and as an after school learning guide. During her work experience, she developed her skills and knowledge of Maria Montessori’s methods and approach to education. Internships in Sweden, Lithuania and Wales gave her the opportunity to work with several different curriculums. After she completed her training as a kindergarten teacher she studied Early Childhood Education at the Hochschule München. Annette is our full-time English speaking teacher. She has a Qualified Teaching Status BA with Honours, specialising in teaching children from 3-8 years old. Before joining Bubbles in 2017, she successfully taught for sixteen years in three British primary schools. Annette uses storytelling, arts and music to support children’s learning as they play. She creates an environment where children are safe, happy and inspired. Leading by example, she shows the children how to be respectful, friendly and polite in all situations. With her experience of teaching she is especially passionate about preparing children in her care for school. Lisa firstly became interested in teaching when she was in Trinidad through working in a Montessori Kindergarten as a volunteer. This made her realize how much she enjoyed working with this age group. She then went on to study for her Bachelor of Arts in Early Childhood Studies in England for four years. Her degree has trained her to cover Foundation Stages from 0-5 years old and (Special Education Needs) diversity disability which includes children from 0-16 years old. Her practice and time within both schools and nurseries has developed her philosophy of valuing each child as an individual, as well as part of a community. 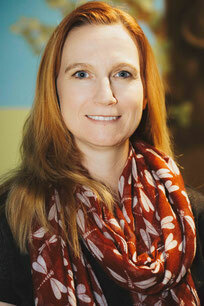 She aims to give children as many learning opportunities in everyday life.